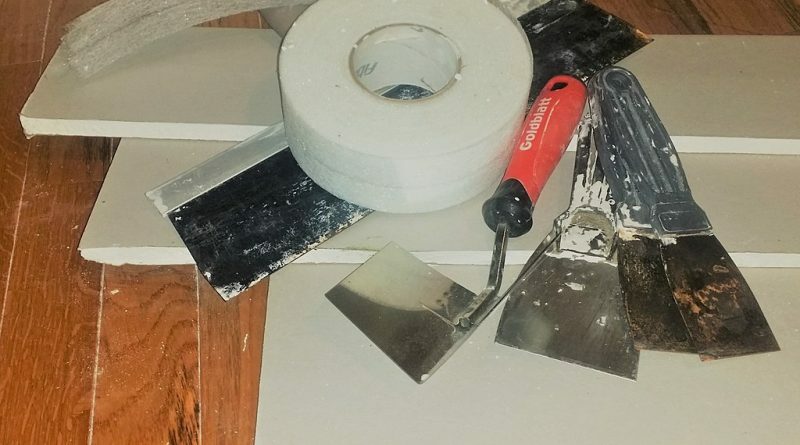 With the right set of drywall finishing tools, bridging the gap between your unfinished bath panels by sealing your joints can be one of the easiest renovation project you will ever encounter. Installing drywall requires spreading joint compound over exposed nail heads, screw heads and where the panel joints come together so you can create a smooth level surface to later paint over. There is no need to continue guessing which equipment is required for you to complete this task. Drywall finishing implements are easy to use but creating a smooth professional looking wall surface requires a bit of practice. Fortunately for you, all you need to do is follow this simple guide on how to choose and use drywall surfacing devices and your do-it-yourself home renovation project will proceed smoothly without a hitch. Here are a list of necessary building supplies and a tutorial on how to use them. Also known as mud, joint compound is a white substance that resembles plaster and used as a sealer to fill space between drywall panels. So if you are planning to fill joints, the joint compound is a drywall resource that you will need along with the following drywall finishing utensils. The joint knife or taping knife as it is also known is the drywall finishing tool that you will need if you are planning to use joint compound. This drywall instrument can be found in sizes ranging from 5-12 inches in width resembling a wide blade. Its most common use is in the spreading of joint compound over gaps between drywall panels and also during the installation of drywall tapes (will be explained later on). 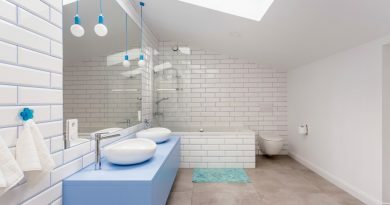 In the world of drywall finishing, using a bucket is not the most convenient choice for holding joint compound while carrying out your bathroom renovation. As a result, the mud pan is specially built to fit in one hand and is able to hold enough joint-compound which lessens the occurrence of continuously bending into a bucket to place more joint compound on your joint knife. Its metal edges are quite useful for you to clean your joint knife of excess joint compound which makes it the perfect drywall finishing tool to become a part of your bathroom renovation tool-kit. No drywall finishing kit would be complete without drywall tapes. These tapes are also used to hide and seal gaps that are found between drywall panels. All you have to do is stick the tape in a straight line following the gap between the drywall sheets and your bathroom wall immediately enjoys a more flawless finish. However, the tricky part is that there are different types of drywall tapes to choose from; paper or fiberglass tapes are the two most commonly used. If you are reading this article, it will be no problem for you to figure out which drywall tape best suits the job. The first thing you will need to know is that drywall paper-tapes must be used with a joint compound in order to gain adhesive qualities, while drywall fiberglass-tapes are made with an adhesive. Now it’s time to learn how to use the drywall tools previously highlighted to fill gaps between drywall panels. First of all, you will have to place some joint compound in your mud pan and take out your joint knife. Holding your mud pan in one hand and your joint knife in the other, carefully use the knife to scoop a small portion of joint compound and begin a direct application on the joint. For best results, try to make the layer applied about 1/8 of an inch thick. After this step is completed, take out your drywall paper-tape and begin placing it exactly over the joint compound and use the joint knife to smooth the tape as much as possible to relieve any air-bubbles (leave to dry for at least 24 hours). After the joint compound has dried and sanded (120-grit sandpaper should work fine) to remove imperfections, it is now time to apply a second layer of joint compound to cover the tape; when this layer has also dried, sand once more and you have just completed your first do-it-yourself drywall finishing job using an appropriate set of drywall finishing tools. 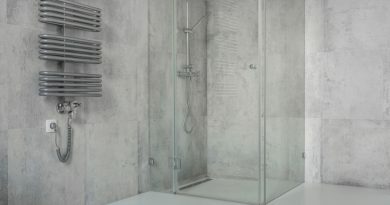 Choosing the right set of drywall finishing tools to renovate your bathroom might have been a mystery before, but this article has shown you the drywall finishing tools you will need to effectively spread and smooth joint compound, so it blends level with your bathroom’s wall surface. 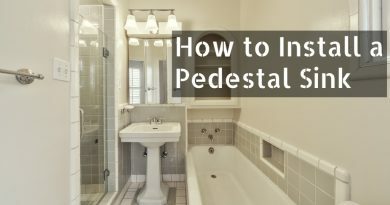 So if you are in need of covering those inevitable gaps between your drywall panels, be sure to follow this guide and take the guess work out of finishing your bathroom drywall renovation. And remember a mudding pro can finish a wall with three coats, but if you are a novice, you may need slightly more.